Over the past few weeks supporting Maya has brought us some new physical challenges and unfamiliar types of back pain. Usually changes like this signal the need to adjust our daily routine and our approach to lifting and supporting Maya. 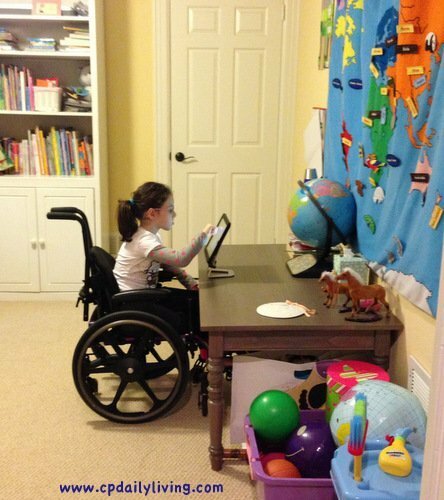 Sometimes it even means we need different supportive equipment for her to better access her environment and to support her learning. We’ve been through several cycles like this over the last few years where we must evaluate Maya’s growth and development in multiple areas and how we may best support her. And now, after going through these evaluation processes more than a few times, I have seen a pattern emerge in the way I process these realizations. During a typical day, I make a point of trying to keep my main focus on Maya’s strengths and the things she is able to do, while in the background of my mind, I think about the things she has trouble with and how to gently open up the next developmental steps for her. This approach helps to keep me focused and mostly in a place of acceptance rather than grief. But when I start thinking through better strategies for lifting, transferring, and ensuring Maya is doing whatever she can to help us to help her, I often find myself stepping into uncomfortable emotional territory. Maya’s growth spurts and the resultant changes in my and my husband’s body (like back pain) demand practical analysis and detailed decision making, and often catapult me out of my status quo emotional space. While immersing my thoughts in whether we need different equipment supports and evaluating Maya’s capabilities, painful feelings quickly rise to the surface of my mind. I find myself looking in great detail at what she is not able to do and focusing on what I hoped she might be doing at this point in time. I then have trouble keeping my focus on acceptance, and end up in a place of anxiety and grief. Maya’s birthdays often have a similar affect on me because these are marked moments of time where I step off of the train and pause to look backwards and forwards to see where she is in her development. The upside to going through this cycle multiple times is that I have learned how to get back on track and work through these difficult feelings. It has not been easy. As Maya continues to grow, we learn more about how her early brain injury affects her body. Each year or growth spurt brings new realizations. As I have written many times before, it’s very difficult for the parents of a child who has CP to come to a place of acceptance because we continue to have to learn about what it is we are accepting. Many of you may be wondering how I get back into my most comfortable emotional space once I have crossed into a place of grieving. I don’t know that I have a concrete answer for that. The best information I can offer is that I don’t allow my grief to spiral down into a cycle of “can’t do’s” and I try not to add additional thoughts to the surfacing difficult emotions. For instance, if I am upset because Maya has difficulty sitting up, I am not going to actively think about something else upsetting such as wishing that she could drink out of a cup without a straw. I also know now that if I get stuck thinking about what Maya can’t do, it negatively impacts her in ways I would never intend. By keeping my thoughts focused on the present and moving her forward at her own pace, I naturally see much more of what IS working for her. The seemingly small things get celebrated. If I were constantly thinking about what she wasn’t doing, I would probably miss many of those victories that she gets excited about and has worked so hard for. 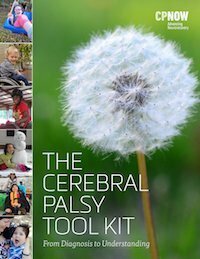 While we have developmental timelines for “typically” developing children, we don’t have them for children with CP. They are not as well studied, documented, or shared. As parents of children with special needs, our children have their own growth timeline and emotions uniquely associated with their challenges. These developmental uncertainties present themselves at unexpected times and impact family dynamics and a parent’s emotions in confusing ways. At least they do for us. Although as parents we often face what feels like a disorganized and unexpected developmental path in raising a child with CP, I am discovering that we can identify patterns or rhythms within our own situations. These emerging rhythms are helping me figure out when to strategically plan and how to make sense of my own feelings and reactions, so that every next step does not feel like new territory. As we work through this next phase of identifying what changes in our environment may be needed to support Maya and our family, I find some comfort in realizing I have been in this emotional space before and have made the needed adjustments. I feel like I picked up another piece of our puzzle and I am cultivating the acceptance to go along with it. And you know what, as Maya continues to grow physically, emotionally, and cognitively, we will continue to move through these transitions. And it’s not always about grief. Sometimes it’s about celebrating our children’s victories and talents, and ensuring that they have the support they need at home and in society, to make sure that those strengths can come forward and can be shared with the world. Thank you for putting this into words. Thank you. You are an amazing mom for Maya and an amazing human for sharing this. My daughter is 13 months, diagnosed with CP at 6 months. I always have questions about the future and am learning to focus on the current day. Beautifully thought out and written. 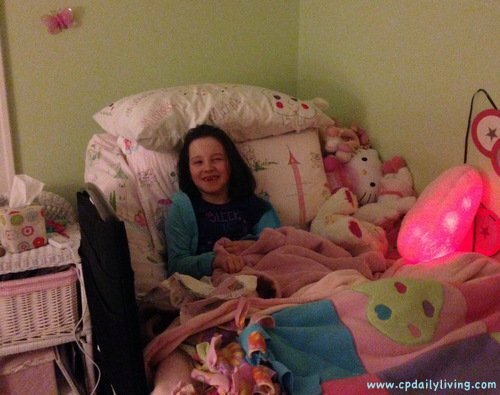 My daughter Katie, just turned 11, is severely physically and cognitively impaired with CP. Though I believe a certain amount of planning needs to always be taking place, I find that thinking and preparing “too” far out also brings the “grief monster” back around. The future is just too scary to think about sometimes. I find staying in the moment and simply focusing on bringing our daughter joy and happiness to be uplifing. I am so grateful to have met each of you. I love your website and will be checking it daily for My Lilly’s blessings. I have showed everyone our few pictures with Cedric and all have remarked how happy I looked. Your child did that for me. Take care. Loved your article. You hit it on the head. So little documentation and so many rhythms we as parents are left to discover on our own. I’m a mother of a 19 yo with CP and when she hit puberty she had a surge in worsening spasticity likely caused by hormones. You would think more would be known about the effect of hormones/menses on CP/effect of menses regulation with birth control pills, etc. But there isn’t. We were left to experiment and it was hard not to despair. Six years ago at that time when my daughter was 5 months old and we just noticed she had little head control , I googled around and was blown away with the stories I read. I never googled again until yesterday when I heard a couple of near ones and teaching staff at my kids school recommended on checking about G-therapy. I have my doubts at large though, but had still gathered courage again to google around, I expect that such things would make my wife feel happy though. What so ever would be the result of my pursuit, reading the articles like the one you wrote make me believe that inclined parents are still pondering. The current state of chemical composition in my brain I do not fully disagree with what you wrote. Who knows you may write a fully different article altogether the next moment. What’s really important at the moment is your words are indeed charming and worth a praise.